In irrigation applications, pumps need a device that signals to the system to start moving water in the direction of the pump. That's exactly the function that a pump relay switch performs. You can see how crucial this pump part is to the operation of the automatic system.  Save on your replacement parts at PlumbersStock and take advantage of our wholesale prices. Buy in bulk and save on shipping. When you need the right part at a reasonable price, you know where to go. We carry some of the most reputable names in the business. Buy discount MARS relay switches at PlumbersStock. What Is a Pump Relay Switch? A pump relay switch is often seen in well applications to pump water from the well to your home or building. 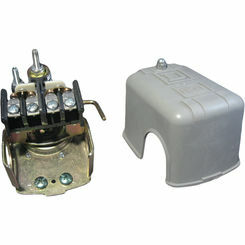 A pump relay switch is used with higher horsepower submersible pumps and signals to the pump when to turn on and off. 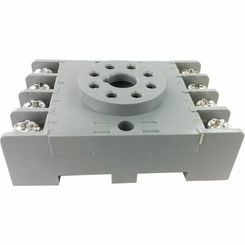 Pump relay switches can be thought of as buffers between the pump pressure control switch and a heavy-duty water pump. For lighter water pumps, the on/ off pump action is controlled by the pressure control switch directly. However, the problem arises when the water pump has too high a voltage/amperage combination. Large horsepower water pumps can easily draw more than 15A—enough amperage that would cause the pressure control switch to be burned up rapidly. How does it Work? 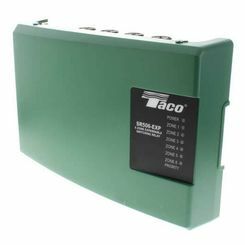 - Water pump relay switches run on electrical power varying from 120V to 240V, depending on the pump and manufacturer. On one side, electrical wiring provides the relay switch with the power it needs to run. On the other side, wiring runs down to the submersible water pump. A separate pair of wires then runs from the relay switch to the pump pressure control switch. When the pump pressure control switch detects a need for change in water pressure, it signals to the relay switch to turn on, effectively turning on the water pump. When are Pump Relay Switches Not Used? - The pump relay switch works marvels in connecting larger HP water pumps to the pressure control switch, actively working to create a smooth, automatic water flow experience. However, keep in mind that the pump relay switch should not be used for every application. For instance, when the water pump is found above-ground (non-submersible), such as in installations where a jet pump is installed near the water pressure tank. Additionally, these separate relay switches should not be used with submersible pumps that draw on average less than 15A of current. For those installations, the water pump pressure control switch should be enough. If the cover of your switch is not properly installed, your well pump could lose power randomly and stop supplying the home or building with water. A pump relay switch houses LIVE VOLTAGE. If you don’t see the pull-out switch, it’s a good idea to turn off the power by going to your electrical panel instead where you can clearly see the appropriate circuit breaker or fuse. Trying to find the pull-out switch without proper protection could result in bodily injury. Pump relay witches play vitally important roles in the efficiency and success of your automated well water transport system. Pump relay switches are designed to work alongside heavy-duty, high horsepower submersible pumps that would otherwise burn out pump pressure control switches. If you’re looking for a new or replacement pump relay switch for your system, there’s no better place to buy than right here at PlumbersStock. 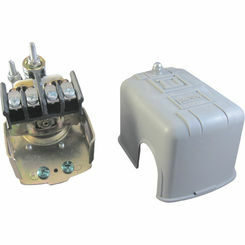 We offer pump relay switches from two of the biggest manufacturers in the industry: MARS and Clayton. Save big when you shop with us by taking advantage of our wholesale prices. See for yourself why so many professionals trust our site to provide them with discounted high-quality plumbing, HVAC, and tool products.